It took a long time to save for, plan and construct this build but I am very happy with the final result. 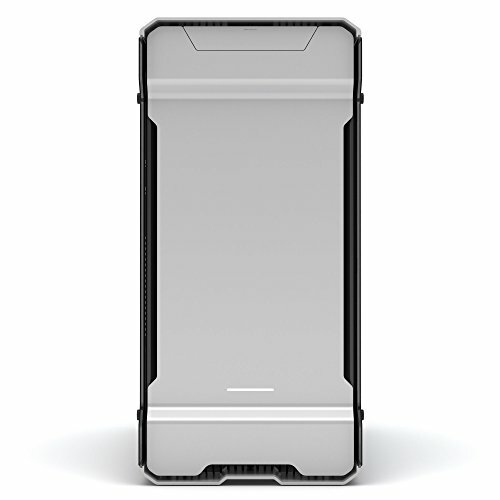 I would encourage anyone who values the aesthetic value of a computer as much as I do to take a leap and build a custom loop in a beautiful case such as the Phanteks Enthoo Evolv ATX Tempered Glass. The main focus for me was to produce a build that perfectly complements the design of the Phanteks Enthoo Evolv ATX Glass case. Having looked at most of the cases available on the market, it was an obvious choice for me to purchase the Enthoo Evolv TG as it posed a fantastic-looking design that I couldn’t find elsewhere, at least at that price range. I had initially wanted to build in the In Win 909, but I couldn’t justify the extra cost that a larger case would bring with it. I wanted to choose a Z170 board that was subtle in its appearance and that wouldn’t take away from the rest of the build. Since the interior of the Evolv is a satin/semi-gloss black, I wanted to get a board that was as dark as possible. That being said, I was after a board that had nice armour to cover up the I/O and as much of everything else as possible, without going overboard. My initial choice was an EVGA Z170 FTW – a cheaper board that wasn’t in any way overpowering. Just prior to purchasing however, Stuart Tonks from GGF Lan Party (Australia) posted his Asus ROG Maximus VIII Hero Alpha motherboard that had come from his Nvidia green In Win 909 build (one of my favourite builds of all time may I add). At the right price, this board was going to be well worth the extra $100 or so, therefore I bought that instead. From the beginning I had decided that this build was going to be primarily focused on it’s aesthetics over raw performance. I was happy to neglect some aspects of performance to ensure that I had a maximum amount of the budget to spend on making the loop look as best as possible. Therefore, it seemed appropriate that I should buy a GTX 1070 and an overclockable i5, the 6600K. Corsair’s dominator platinum was an easy choice for me. Despite being so high profile, the ram when put together in a 4x4 or 4x8gb configuration in a Z170 board is a universally loved arrangement. The silver especially suited the Silver edition Evolv. When planning for this build, it was essential for me to solidify the loop I was going to be creating since it was so specific. All the parts’ dimensions had to be scaled from product images and replicated in 3D software to ensure that there were to be no complications when it came to putting the loop together. The last thing I wanted was to plan a very specific design element, only for it to be impossible and therefore affect the rest of the build. Unlike most traditional hardline loops, I didn’t want the configuration to be ‘component-to-component’. Instead I wanted each and every run to leave a component and meet the case immediately afterwards, connecting everything out of sight behind the motherboard tray and in the basement. This required very careful planning since especially in the basement, space was very limited, making it difficult to get everything to fit. In order to compensate for the lack of a second GPU, I decided to fit two 150mm reservoirs directly underneath the 1070, filling in that space that would otherwise be blank. This also allowed four tubes to be run from the reservoirs, filling in space that would again be otherwise unoccupied. Obviously this orientation has no effect on the performance of the cooling loop, but only adds to the design. I believe that this instills a degree of confusion into the viewer, whereby they’re unable to determine the direction of flow and what connects to what. In creating such a complex loop for just a single GPU and CPU, the result would be a very large number of fittings, comprising multiple rotary fittings for the tight spaces, pass-throughs, lots of 90 degree low-profile fittings, stop fittings, and plenty of multi-links. I therefore decided that the most cost-effective way of approaching this would be to purchase Barrow fittings – Chinese replicas of Bitspower’s range. Although I don’t endorse this, it does provide a fantastic alternative to most fittings at a much cheaper cost. All custom acrylic purchased was translucent opal acrylic. The properties of this acrylic enables it to diffuse light very well, taking on whatever colour is emitted by the LEDs. All dimensions for the acrylic cut-outs were measured from the case after purchase and remodelled in Adobe illustrator. A laser cutter was then used to precisely cut the shapes. For the panels that I wanted a matte black to match the other black components (namely the radiator), a standard flat black spray paint was used. For pass-through fittings, the acrylic was drilled out and the hole was widened using a dremel and sanding bit. There are two available lighting zones in this build. The most prominent one is in the very top of the case, mounted onto the aluminium frame at the top. It consists of two LED strips that expand the length of the chassis from front to back. These are soldered together and then connected to a molex connector. I then made a cable that plugs into this molex connector and relates to the correct pin out of the LED strip, ready to be plugged into the controller which sits at the back of the case. This allows full RGB capability from this zone, allowing for custom RGB colours, stock RGB colours, fade, flash, jump; and speed and brightness control. The second zone is identical in configuration however is attached to the GPU support bracket out of sight. This zone mainly illuminates the reservoirs if desired. Both zones can be controlled independently from one another and turned off individually. However, as both controllers run on the same frequency, it is necessary to unplug one of the strips in order to change the other unless consistency is desired. Both controllers are powered by a homemade DC-to-molex connector. EDIT: The lighting for both the setup and the computer are both a slightly purple white. I haven't been bothered to colour correct the photos so they appear quite oversaturated and sometimes even blue. Sorry! Great performance but still good looks for any build. It's a shame you can't turn off the white LEDs, but having 4 or even 8 of these together creates a really solid aesthetic. By far my favourite case currently on the market. The combination of thick aluminium with tempered glass sides forms a really clean look that comes second to none in its price range. Very easy to build in, with great modding capability. Highly recommended! I have to say I love small (60%) keyboards. In contrast to christmas tree-like keyboards, the Pok3r gives a far cleaner, smarter look. This can be further enhanced by custom sleeved (or double sleeved) cables, custom keycaps, enclosure mods, wrist rests and even soldered LEDs. An excellent mouse for people with larger hands and longer fingers. 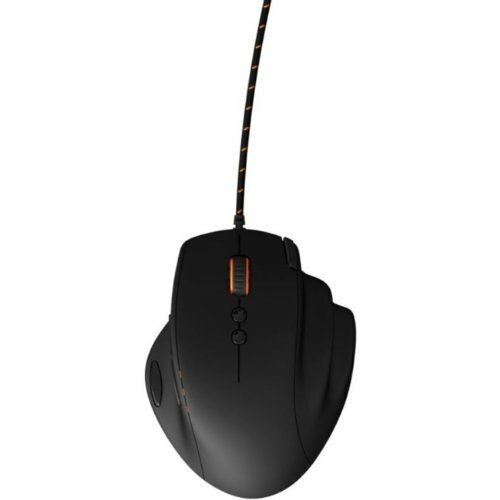 Unfortunately the mouse has been discontinued since Func was taken over by Fnatic, however if you can pick one up second hand, i'd highly recommend it. Very comfortable. However, the switches do get a little squeaky over time form my experience. Can't make out what the whole PC looks like, but from what I can see, looks damm gorgeous. Really could get featured no doubt. Wow that looks beautiful, plz add more pics. Could you please take pictures of how the loop flows? I'm interested in how you made it work like that if you get what I'm saying. Yeah, same here. Pictures posted look good but I'm interested in the backside and the basement and how the loop came together. Dude.... Do you mind if I absolutely jack your loop design if/when I make a water cooled build? Fantastic. +1 for days man. No worries. I spent many many hours thinking and working out this loop before buying parts to ensure that I bought the exact fittings I needed. So any time I can save you is more time you can spend building. Thanks for all the effort man! You really inspired me. I am at awe. You have built a piece of beauty. Good to see a beautiful watercooled evolv case, as you don't see many often. Could you show us some pics of your full desk, I want to see the 34" of beauty. Thanks :) I'm very happy with how everything came out, was well worth the headache of getting everything to go smoothly. Beautiful aesthetics meet power in this build! +1 from me! Top work! Turned out great. I like the straight lines of the tubes a lot. More pics please!!!!!!! Take more pics please, with overall setup, maybe change leds, and more pics of that pc! This has some great lines in it. Great placement of everything. Looks sick!!!! Those bends :D amazing! Nice job on the build, that's a powerful PC you go there. Enjoy it! This is completely feature worthy. The staff have chosen wisely. It's a work of art and you've taken my one. Add some more info and part reviews! Awesome pics, sweet build. sick build bro, nice job! Gorgeous build! I have a question. How did you get that white glowing-panel-thing on the top? Did you put LEDs behind some frosted plexiglass or how did you do that? It does look a lot better in reality than it does in picture. It's a laser cut 3mm opal acrylic Sheet. I attached 2 custom rgb led strips to the aluminium top. The acrylic diffuses the light evenly across the whole top without overpowering everything. Glad you like it! Thanks a lot for your answer! It looks really awesome in your machine. I've never heard of that stuff before. It'll work really well for what I want to do in my own rig. Now I have to find out if I can get it sent to the US. I appreciate you telling me about that. Thanks! Yea I came across it accidentally while painting all the acrylic and figured that I might as well leave that piece opal to diffuse light from the top of the case rather than mounting a strip behind the top fans (in my opinion no LED strip should be visible at all). All you need to search for to obtain the acrylic is "opal". It's basically just a translucent material acrylic. You should be able to find it anywhere really. To get a smaller quantity I just ordered mine off eBay in two A3 size sheets. I'm sure it'll be very easy to obtain in the US, considering how much better your access is to basically anything than here in Australia. The hardest part will be whether or not you want to lasercut it or hand cut. Fortunately for me I have access to a very large industrial laser cutter, but you should be able to achieve similar results with something like a band saw and some sanding and polishing. Otherwise it's likely you have a plastic shop locally that has a laser cutter you can use at a cost. I'll post some pictures tonight. That tubing gets me hard....line. Two years later I still think this is an amazing looking build, perhaps the sleekest I've seen on this site. I'm thinking of making this my comp similar to this one so if you ever check this comment out, after two years, what would you have changed on your build? Haha thanks mate, I really appreciate it. I'm actually still using this PC as we speak. I've rebuilt it twice since this post. The first time due to a very slow reservoir leak and maintenance which I had put off since first building it, and the second a much more serious leak from when I accidentally left it rendering a uni project without turning the fans/pump back onto auto so the coolant overheated. So I changed the coolant out from white pastel to transparent purple to make maintenance a bit easier, and added a temperature probe and extra drain valves. I also made a few new cables, but other than that it's pretty much the same as it is here. Used a less translucent and more transparent opal acrylic for the light box, letting more light through. And probably not having the three fans at the top since that let a lot of un-diffused light through and didn't look any good when looking up at the case from a low angle. Probably chrome fittings and gpu backplate (to match the CPU block), while keeping the new transparent purple coolant. After doing many builds since this one, i've found that transparent coolant doesn't look great in builds with lots of black. The more silver/white/chrome you have, the better. And that's about it I suppose. Sorry for the long response haha. Let me know if you need a hand planning out your build in the future. I'd be more than happy to help. Remember me anyone? I am the feature prophet, and I am always wrong. Therefore, I declare that this build will not be featured. Wow looks beautiful. Pretty good specs too lol. That includes a $1000 monitor :P. If you do a loop, buy Barrow fittings instead from China. Cheaper, and fantastic quality for what they are. Clean as f***. I try to leave constructive criticism on most builds. You are making it really hard. More pictures I guess? I mean damn... easily one of the best Evolv Glass builds out there. More than happy to give you a hand. First thing you need to determine is what you want to cool, how much you want to spend and whether you want hard or soft tubing. I'd like to include the CPU and GPU (currently 1 GPU but am considering SLI in the future) in the loop. The budget is TBD at the moment. I'll try to get a more solid budget point as I begin to understand the components better. I'd like hard tubing since it looks very nice if the bends are done correctly. I'd probably recommend a simple loop that goes component to component to eliminate any modding or custom acrylic like i've done (although if you do go that route it's not too difficult, but does add some cost). A lot of the choices I made for this system were purely based on aesthetics. For instance, having two reservoirs is completely pointless, and having them seated horizontally is simply inconvenient. What I'd recommend for you is a simple look that goes something like Reservoir >Pump (could also be a pump/res combo, although i'm not a huge fan of how they look) > CPU > Radiator > GPU and back to the reservoir. You can mix that around to suit, although your pump always needs to be directly fed by the reservoir. You will need to purchase a CPU block and a GPU block; a reservoir (or pump-res combo); a radiator (preferably 240mm+, I used 360mm. Thickness will depend on your system, but generally go as thick as you can. Mine is 60mm); a pump (not if you buy a pump-res combo); PETG or Acrylic tubing (lots of different sizes but to keep it simple either 10/16mm or 10/12mm is fine for most situations. Mine is 10/12mm PETG. PETG is easier to use than Acrylic and is overall a slightly better choice for beginners but that's up to you) and hardline fittings (I'd recommend Barrow fittings. Identical to Bitspower but Chinese and cheap. Make sure they match the OD of your tube. The ID doesn't matter for hardline tube, although it does for soft tube. You will need a combination of multilink/hardtube fittings, rotaries, stop fittings, a valve etc.). Although that may seem like a lot, a few YouTube videos will get you into understanding it all a little better. My advice is not to look at websites such as Bitspower when looking at fittings. Their range is huge and will confuse you as it did me. If you want to understand fittings, look on EK's website as their range has everything you need for most loops. C'mon mate, it's already 20 past 6, and where are the extra pictures? If you haven't taken them already, some of the back would be great so I can see how you did the connecting bits. What a ripper build. I'd be bloody mad not to give you a +1 so here it is. I just put up about 10 more photos. Unfortunately I don't have any of the back and I don't currently have it closed as i'm having to run a HDD outside the case since there's no room to fit it. 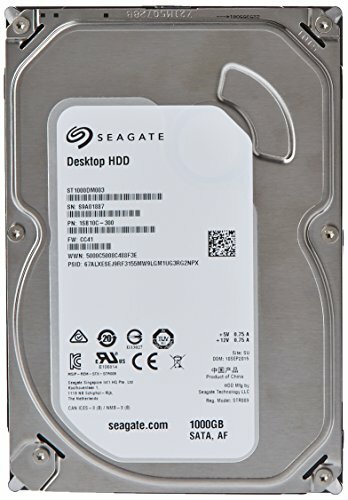 I've purchased a 2.5" HDD to mount to the MOBO tray but for the time being the back is a little uglier than i'd like. All the complex plumbing I did is mostly hidden since it's so densely packed in there but i'll try get some when it's lighter. Old photo uploaded of the pump area without tube going up. Thanks! There's only one 360mm radiator I'm the front of the case with 3 EK Vardar fans that you cannot see. In the top, there are 3 SP120's running at very low RPMs. There is no radiator in the top, just a custom acrylic plate with 3 fans attached for aesthetics. They run very slow to ensure positive air pressure. My OCD awards you a +1. Great job with the hardline tubing! Clean, beautiful, and powerful. Great job. It is beautiful! I would love to see pics of what the tubing runs look like on the back side and bottom. I want to see where they go and how they are all connected. Thank you! I'll get a picture up as soon as I can but for now I explained it in the comment below. where are all your pipe lines going to/connecting to? Horizontal reservoir tubes going from closest to main window, to furthest from main window: First tube runs to radiator out. Second tube connects directly to the third tube underneath the acrylic (imagine both reservoirs in series). Fourth tube runs to pump in. Complex but doable. I'll upload a photo of this ASAP. Im trying to follow, but what would really help is a squared picture right from the front, no photography settings or lighting. Just bland *** shot to see how everything is set up. if you could provide me this either through PM or through the build pics themselves that would be awesome. Thanks in advance. No worries. I'm very stretched for time at the moment but I'll be getting a few straight forward shots of everything for people who want to look at and/or copy the workings ASAP. No problem, I appreciate the work you're doing especially after all the work you did to build the darn thing. I have a final question (or series of). I understand how you used the 4 custom plates for aesthetic purposes, however i dont understand exactly how they are mounted. 3) I know theres one at the top, but how do you get the fans to pull air through it? Especially if its an opal sheet diffusing the LED strip lights. If you could clarify these things (when you have the chance) i would greatly appreciate it. Thanks again for your contributions to pcpartpicker, and myself as a user/learner. The front plate covering the psu is just glued, the one that the reservoirs are seated on is held by the screws holding the reservoirs down as well as the fittings. The motherboard tray one is held by the pass-through fittings clamping onto the metal chassis. The top plate has 3 holes in it the same width as the blades to let air through. So it isn't entirely diffusing the light, just the sections around the fans. It sits in the original tray guides with cable ties running up to the metal bars to support it. With the fans attached it sags significantly so this is the only option I could think of. If you drop your email id be happy to send you the illustrator files for the acrylic pieces. Let me know if there's anything else you need. Uploaded a photo towards the end for you that shows it before i installed the tube pieces. It at least shows where the pump is. Will get more as soon as possible. Whats the approximate total cost of all the parts including the watercooling? Including the tools I needed to buy (which added significant cost but could be resold), the build cost around $3500 AUD, possibly a few hundred more. I did however order most things seperately, so the 20-30 shipment I got added some shipping costs. Some parts were also bought off other modder to save a bit, but all those parts were almost new. Wow thats like $2600 USD. And you didint even get an 6700k or 1080. Where'd the cost come from, the custom watercooling?? 75+ fittings, lots of shipping costs, 200 or so in tools, expensive specialist parts that I almost regret buying (such as the Singularity Computers Ethereal dual reservoir mount at $160), lots of custom cables supplies. It all just adds up and you don't really understand where it comes from. Great job. This build is so beautiful im considering using the same set up. I'll likely use different colors, but the custom water cooling is a god-given work of art. Since there's no direct front view picture i'd like to ask the loop cycles you used, what connects to what and where your radiators are located. Thanks in advance. Absolutely. I'll get a few pictures up for you but it goes something like this. D5 Pump > GPU > CPU > 360mm Radiator > Reservoir 1 > Reservoir 2 and back down to the pump. It should be noted that the reservoirs are connected in series, so the two middle tubes connected to the res are connected to each other. The closest reservoir tube goes to the radiator. The furthest reservoir tube goes to the pump in (feeds the pump). There is only one 60mm 360mm radiator in the front. That was again just for aesthetic purposes and it cools just fine. If you would have covered up that Apple logo, this would be perfect. But it's still darn near perfect. O.M.G.. what a piece of art. The system, the lighting and the desk setup... speechless... congrats on the feature! O.o Sweet baby Jesus, it's glorious. Hello OP, can I have some tips for making those watercooled bends? I have the same case also and going for a custom waterloop. And this piece is so gorgeous I would like to make it my inspiration for what am I going to build. I just bought all the parts last Black Friday and about to receive all of them my this weekend. Hoping for your reply! Hey. Absolutely! 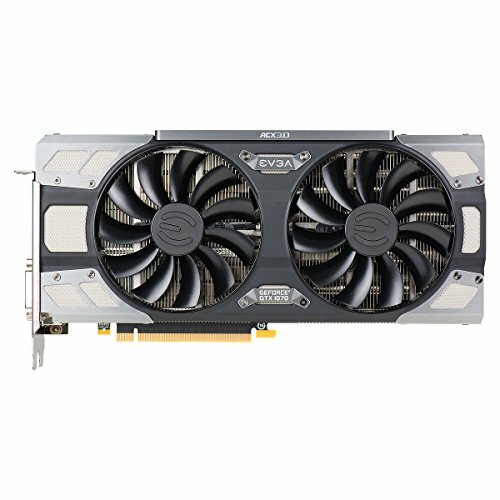 Could you post here a list of the cooling parts you purchased so I can help you out? Eg. 2 gpu blocks, a cpu block, 12 16mm hardline fittings, 150mm res/pump combo etc. The thing with my loop is that it uses a LOT of fittings (lots of pass-throughs, rotaries etc for tight spaces), somewhere between 75 and 80. I don't expect most people to do something like this as it's expensive and purely for aesthetics. Most people will just do a component-to-component loop which is just as effective but far cheaper. That being said you can still make a very nice looking loop with fewer parts, it just doesn't have that same arrangement where each run passes through the chassis. Beautiful. Very clean lines and well done. Currently just a cheap generic LED strip from China with the corresponding transformer and remote with an approved 6A power supply. I don't recommend the power supplies they supply, I only buy SAA approved (Australian standard). Nice build!!! I just picked up that same monitor this past week. How do you like it? I've spent four days with it and with the brightness/contrast/color/various modes. I found no matter what I did the color always looked a bit washed out. How do you feel about the color/light balance? What settings are you currently using? Excellent build! Great detail, great pics, amazing craftsmanship and a well written description. Take my +1 sir! +1 for Koolance! I used to live 15 minutes from them and used to visit to pick up parts. Top notch in my book! Thanks! The panel on the s34e790c certainly isn't great, and I was pretty disappointed initially. It's not accurate enough that you'd want to use it for photo editing, but not fast enough that you'd want to use for gaming. Only reason I didn't complain was due to the price I paid, which at the time was very good. I never really changed the settings since it didn't seem to help, and I've since gotten use to it and forgotten what a really good panel looks like so it doesn't bother me too much. Mine does have really bad back light bleed though which is a little ugly. I love the Koolance block. It is my second favourite, seconded only to the MIPs Iceforce HF. Sadly they're both discounted and I wasn't able to pick up a HF. Got the CPU-370 for $20 AUD so I was very happy with that. I'm glad it's not just me. Newegg here in the states had a ridiculous 8 hour sale on it and I jumped on it. 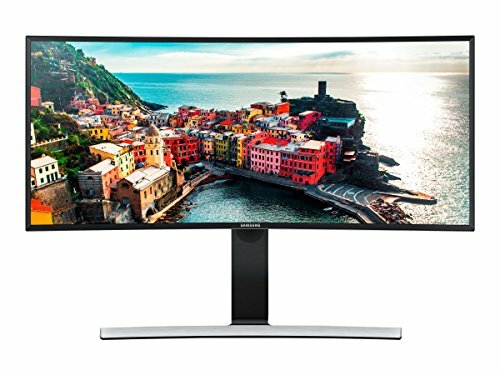 I was originally planning on the 34" HP ENVY, but couldn't beat the price of the Samsung on sale. Still might send it back, I've got 30 days. Gaming seems to be pretty good on it, but my wife said she would not touch it for her photo editing. I DID luck out not to get the dreaded back light bleed. Thanks for the info, good to head from other users with the same gear!! Excellent build, glad it got featured! Welcome to the club! Those watercooling tubes made mine stiff and straight ~(- o - ~). Great color scheme and lovely setup. Btw what switches are in your Pok3r? I'm assuming clears? If they are how would you compare them, to say, blues? Thanks mate! Switches are clears, yep. I've owned clears, blues, reds and blacks and clears are my favourite so far. I do like blues, but they're just a bit too noisy for me for typing. Reds I don't like very much at all since they're too easy to actuate and hence you're always making typing errors. Blacks were just a little too finger-fatiguing for me, but they were pretty good. Clears are good because they give that little big of tactile feedback, with a little bit of resistance and they're not too noisy. They're also the closest sounding to topre switches, which is what i'd get if I were every to get another keyboard. Deep and a little clunky (depending on the surface you seat them on). https://www.youtube.com/watch?v=VDfJ3XWiZcU This is a great video showing how they both sound. I just love the topre sound. Awesome build! I have the same case, although a little less pretty because of the pack of hardlines :P You should check it out! :) have thought about doing hardlines too, but I think it may be too hard. Was this your first experience with hardlines? Was it difficult to complete? Hey mate. Cheers! This was my first experience ever using water cooling apart from an AIO and second time building a computer myself. The most difficult part is the learning curve and getting your head around what you need to buy. For a simple loop, this isn't too hard. To make things easier i'd stick to all EK products as their range is straight forward and they have a configure page on their website that will tell you everything you need and add it to your cart. Bending the actual tube isn't too difficult. All you really need at bare minimum is a silicone insert, some tube and a heat gun. It will take a few tries to get right, so buy a bit extra. Make sure to pay attention to the outer diameter of the tube you want to use (EK's website would take care of this for you). I'd probably go with 10/16mm tubing for your build to fill in a bit of space. Looking great, keep it up! Absolutely :) If you're looking for a cheaper alternative for the fittings (although it may not make much difference depending on how many you need), I used Barrow fittings which are basically a Chinese copy of Bitspower's range. They're perfectly good and a fair bit cheaper than all other alternatives. Up to you though, it's probably just easier to buy everything from EK. I love this build and love all the specs in this build. I also love the lighting and lay out of the set up. Just one thing, the stand for the monitor looks unneccaserrily long and was wondering whether you were abe to wall mount it just to make your set up look so much better. Again, love the PC and setup! Good job! What camera are you using? 2. Are those sennheiser headphones in the pics? Yep! They're HD600's. Excellent headphones. On a lighter note Awesome F**** build bro....they say "Patience is a Virtue" and you said that you saved up for a good while and now you are reaping the benefits =) mad props bro "Good things come to ppl who w8 right? Thanks man. Yeah it was a long and arduous process of saving and planning to ensure that I bought everything I needed. I'm glad it's over, but i'd be more than happy to do it all again. did you get featured om techsource on YouTube? No haha. I will submit it later with the setup as well. He wants very specific shots in daylight, but at the moment i'm only home during the night so it'll have to wait. Where did you get that Macbook stand? I'm looking for something similar. Plus... Amazing build hands down my favorite build I have ever seen on here. Thanks for the reply! and congrats on the feature! I love the desk too, I have something similar but I wish it was as wide as yours. Love the whole set up! Thanks mate. Yeah the desk is 28mm thick plywood. It's currently 1800x800mm but I'm going to be building a new one in a month or so at 2100x900mm to accommodate for the Yamaha HS8's. I am currently buying the parts to begin my next build and I have come to notice this case as a candidate for the build. 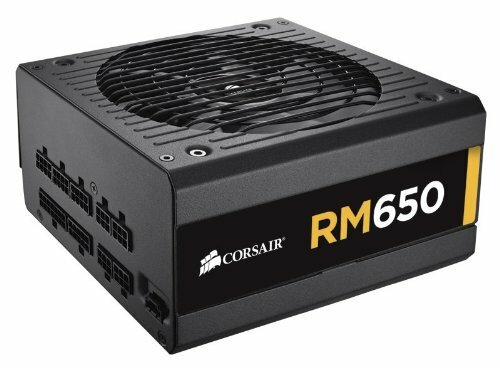 I have seen many builds using this case and they look all fantastic, I wish to do as you did and add some lighting, but I don't want it overpowering the build, I want a simple glow. All of the builds I have come to see using this case have lighting in which you can see the individual led's and in my opinion, that is a very unattractive look in a build. I am curious how you managed to avoid this and stick with the simple glow throughout the case? What is it you used and where did you place the lighting? Fantastic build. It's a great case so you've made the right choice. I completely agree with you on the lighting. There's nothing worse than seeing the LED strip in a build. You should only be able to see the light emitted by the LEDs and it should not be overpowering, and it should not be multi-coloured.. white or a tinted white is best. At least, that's my opinion. The light in my photos is a bit brighter than it is in reality. The way I achieved mine was to laser cut a translucent, opal acrylic plate in replacement of the original metal radiator tray. This allowed me to screw three SP120 fans on the top, but have the area around the fans diffuse light from the LED strips above. I did this by sticking two custom LED strips made from generic Chinese LED strips off eBay to the top aluminium frame on the inside which are attached to an LED controller and controlled by a remote. The controller is powered by a molex to DC barrel connector I made. The opal acrylic gives a nice effect whereby you cannot see the LEDs, instead all you see is a solid, almost 'glowing' piece of acrylic that emits light evenly across the entire case, while leaving enough shadow in some places. The photos above do show this, but they overexpose it a little and don't make it look as good as it actually looks. An alternative would be to mount a radiator to the top using the default radiator tray, and place an LED strip behind the radiator out of sight. Or you could make a custom little lip that comes off the top of the case inside the main compartment with an LED strip stuck on the inside. That way you can't see the light source. Hey. Wondering what wrist-rest you are using, looks nice. Good build, I wish I had such bending skills. Thanks. The wrist-rest is from https://battlestation.io/, however I personally wouldn't recommend it at all. It's just a maple skirting board that's been very poorly cut with no treatment of any kind. I'd recommend just going out to a local hardware store and buying some skirting board and cutting it to size. Oh. I'll take your word for it. There are plenty of alternatives out there for around the $50 range. Just depends on the type of wood you want and the width of your keyboard. Try looking on Massdrop. Wow you were able to post **** like this? In all seriousness I made an account just to say ******* I am loving all of this. Not just the build but your desk too, I'm a huge believer in simple layouts. What wrist rest are you using for your POK3R keyboard? The curly maple wrist-rest is from https://battlestation.io/, however I personally wouldn't recommend it at all. It's just a maple skirting board that's been VERY poorly cut using a handsaw. I'd recommend just going out to a local hardware store and buying some skirting board and getting them to cut it to size. I don't think a 1050ti or 1060 is justified with a $1500 custom loop. An extra few hundred dollars is nothing relative to the rest of the build. Everything is at 3840x1440, so almost 4K. So getting decent FPS in demanding games is still going to be an issue. I did a lot of competitive gaming for years, and I just want to take a break from it. I use the term 'casual' to define how much time I spend gaming, not the performance I expect from the games. Thanks for the compliment mate, really appreciate it. Oh right, that makes sense, mind you the 1060 is a beast. I think it would be alright in your custom loop, even at 1440p at high settings. although i understand your choice. I was just wondering how you positioned the tubing behind the motherboard and connected everything. Can you explain how your loop is connected, like where does each part connect to? Because at first it looks like your resevoirs are connected to the radiators but im not sure if thats correct. What is the order your loop is setup, if you could send me a picture of the pc's basement that would be great. Hey mate. I just uploaded a diagram as the last picture which shows what's connected to what. I answered a few similar questions above that may clarify things. Everything is connected below using lots of fittings and some tube. The reservoirs are connected in series as the diagram suggests. There is also another picture that shows the basement in its earlier stages which is the best I can do, since it's completely packed with cables now and basically not visible. Do the 3 fans on top have a hole cut out in the acrylic for them to get more airflow, or are they just there? Yes there are 3 holes the size of the blades. The fans are on a CPU_OPT header so that their total air output from the case is lower than the input of the intake fans for positive pressure. The acrylic piece is laser cut. that is the single most beautiful custom water cooling loop I've ever seen. Hats off to you sir. I'm a bit pushed for time at the moment, but I did reply to some responses in detail above. Give them a read and let me know if you have any questions. There is also a diagram in the photos which describes the loop. Hey mate. This was my first custom loop, yes. The parts were sourced from all over the world at many different locations. If you live in the US, the majority of the components can be purchased from somewhere like Performancepcs, with the exception of some like the fittings which are from China. Let me know if you have any other questions. With great exhaustion and pain haha. Thanks! What is the third reservoir for? Im assuming the two vertical ones are for the cpu and gpu. Sorry, I'm not entirely sure what you mean? There are two reservoirs in total. They are configured in series so that 1st reservoir feeds directly into the second. They are only for aesthetics to give the illusion of a dual loop when there is only one loop and one pump. My bad. I was looking at one of the pictures and for some reason thought there were two pumps mounted at the front vertically. Then in another picture saw what looked like one pump laying horizontally. Looking again, I realized I'm just an idiot. Cleanest water-cooling build I've ever seen. Truly amazing, you should be proud! Done by a fellow Aussie nonetheless! I'm trying to get my head around this loop, but can't seem to understand it. Once the CPU/GPU tubing reaches the pass-through fitting on the wall of the case, where do these tubes go? Also, did you have to drill/cut into the actual case to make space for these pass-throughs? Could you post a picture behind the motherboard tray, of the tubing connecting do the CPU and GPU pass throughs? Thanks! Thanks mate, always good to hear from a fellow aussie. Not enough of us around. I do build my loops with the intention of being a little confusing. I don't like obvious component-to-component loops very much unless they're really done well. I like tubing to enter through the case in a mechanical sort of way. I did have to cut the motherboard tray where the 4 pass throughs are, but since the cable pass throughs for the hdd racks are there by default, there wasn't a whole lot to cut. I used a jigsaw for that. I also had to drill a couple holes for the reservoir mounts, but that was it. The majority of the acrylic fabrication was done using a laser cutter. It's also notable that where the top most tube pops out the back of the case after the pass through, I have a fill port attached to a X splitter for draining (letting air in) and filling. Most filling was done through the back of the reservoirs though. There's also a drain valve where that tube eventually meets the radiator in. Wow you are an absolute legend for taking the time to write this! It all makes so much sense now, thank you! You described it absolutely perfectly. I'd love to do a build similar to this at the end of the year... The issue is figuring out the cost somehow. Currently, my planned build is just under $4000 AUD including monitor and peripherals. I'm sure a custom loop would add ~1000. Looks amazing though. Hopefully I can save up and create something similar to this! One last question - my guess is that the radiator/tubing/fittings/pump in the bottom compartment means that there is no space left in the build for a HDD? Take your time. Make up a build here on pcpartpicker and just go through everything you think you need. Slowly you'll add stuff as you're inspired by others. Go through a couple of the pc build promoters on Instagram to get inspired and then you can plan where everythings going to go. If you want to do it really well, you should take some time to develop your own taste in what you truly like in a pc, because I guarantee it'll change when you see some on the incredible stuff some of the builders and modders do out there. If you're looking to make a complex loop that passespecially through a fair bit like mine, you will be spending a fair bit for the loop. But there are unnecessary costs here such as the $160 reservoir mounts that you wouldn't have to spend. My recommendation to most is to buy mostly Barrow products from aliexpress (I use FormulaMod). They are very cheap compared to alternatives, and the quality is absolutely outstanding. FormulaMod did I believe next day DHL shipping for me for $20 or something like that. Had it the next day in sydney from China at 9am haha. I have already picture up that gives a bit of an insight into the fittings down the bottom. There are a good 25 fittings out of sight, and yea they take up a real lot of space. Between the pump, all the fittings, some tube and the cables down there, there is absolutely no room for a HDD. Instead I purchased a 2.5" HDD and have it in one of the the 2.5" mounts. If I didn't have the diffused lighting in the top, I could have made a HDD mount in the roof of the case, but that would disturb the lighting. So yeah, mine in its current state is totally unable to hold a full size HDD. Best advice I can give again is to take your time to familiarise yourself with everything you need to know, get obsessed if you can, and develop what you appreciate most. Then really plan everything out as bet you can. Even buy the case first so you can take measurements. Even draw the case up in CAD (that takes quite some time though haha). Anyway, let me know if you have any other questions :) sorry about the essay responses. I just want to say this is easily my favorite looking build the way you lay out your room is exactly how I have mine laid out and will prob model mine to mimic yours nice job! Damn....I need a cold shower now. I am so copying this loop design for my rig. Go for it! There are a couple people that I know of who have already. Let me know if you've got any questions. Will do. I tend to plan builds using all fittings though...no bending. And those new Phanteks fittings look so awesome that I think doing a loop like this with those in it would just look awesome. They are nice fittings. Only thing I would say is to keep in mind that using two (or one if you use the setup I did on the component end of the run) 90 degree fittings on each of the horizontal runs from either the CPU or GPU to the motherboard tray will add a fair amount of mass to the tube run. This may cause your tubing to sag downwards since the run is fairly long. I had minor sag in this build on the tube runs with just a since 90 degree bend. but it was barely noticeable. Hmmmm......good note to make mention of. I hadn't considered that. And I noticed you got the EK Vardar's. How are those in the noise department? I am looking at either those, or the Phanteks fans (trying to use as many Phanteks parts as I can...and hoping they might sponsor my build. Stupid dreams. lol). It's absolutely possible. While you won't get the same horizontal runs to the same extent because you are so limited in space, there's no reason why you can't get something rather similar. Nothing wrong with a challenge! The Vardar fans are very quiet. I run them at about 20% on idle, and I can JUST hear them. Like all fans, they are of course audible at higher RPMs, but comparatively, very good. 1450RPM is a good sweet spot for a 60mm thick XE360 too. +1 Brilliant build :) 1 question , how did you replace the psu shroud and the motherboard tray ? Thanks mate. The psu shroud and motherboard tray are covered up by matte black acrylic that was measured then laser cut. The original shroud and tray are still there. Why are the SP120 and AF140 fans a custom part? No particular reason. Just perhaps found it easier to add them in there rather than in the 'case fan' section of PCPP. Did cost a lot make custom loop? What version of the case you select? White or Black? thanks. This particular loop did cost quite a lot, since it's very overkill in terms of costing a lot more than it needed to for the sake of aesthetics. For instance, there is no reason to use two reservoirs like I have, and nowhere near as many fittings. The price list is included above, so you should be able to work out roughly how much I spent. This version of the case is the Galaxy Silver one, the lightest colour. It doesn't appear so in the photography since it's all done in low-key lighting conditions. The cooling loop is designed to be more than capable of accommodating some degree of overclocking. I have overclocked the CPU, but not the GPU. There is enough cooling capacity to overclock the GPU as well, however i'd prefer to keep my pc more quiet, rather than gain additional performance in my GPU which I don't utilise to its full potential nearly as often as I do the CPU. Thanks! Yea I'm not a huge fan of loops that just go from component to component. I like all tube runs to 'meet' the case immediately after coming out of a component and be organised out of sight. It instills a bit of confusion into the viewer which I like. It also looks a lot cleaner in my opinion. Thanks mate. Really appreciate it! Don't forget that awesome liquid cooling. Without that the case is nothing! Thanks mate :) Your builds look incredible, especially that S-frame! 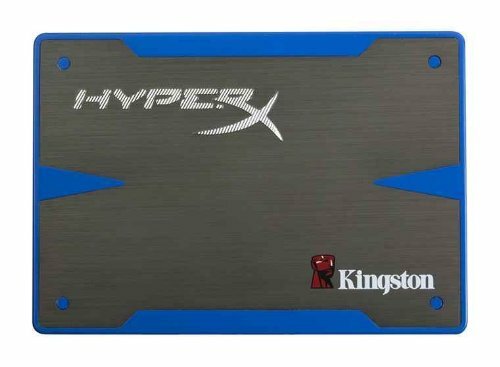 Was going to use chrome plated copper for this build but decided the chrome plating was going to be too expensive after receiving my cheapest quote at $250. Too kind :) I've been working with the EVOLV a lot lately and it's a top chassis for painting, just wish Phanteks would change the packaging slightly so the foam/polystyrene was top/bottom and not sides - almost dropped a few! Most Evolv hardlined builds do get featured. Should have said brought to you by Jipstertechtips. Tonight in Australian time (AEST) haha. Gonna be a few hours yet, sorry!